Periodico d'informazione per la promozione del libro, della lettura e della traduzione. - Debate "Webmania: new multimedia languages and realities"
After the first edition of the international project Scrivere Web: Webmania, on 14 May 2003 the Rete Grinzane Europa organized at the Virtual Reality & Multimedia Park of Turin, the workshop "Webmania destined to the students of the masters program in Technology and Multimedia Communication of the Corep (Consortium for Permanent Education and Research) of Turin. The workshop analyzed the new languages that are spreading through the Web and examined a series of texts that entered the context on which the participants worked. Speakers at this workshop were Prof. Giulio Lughi, Professor of Sociology of Cultural and Communicative Processes at the University of Turin; Reinhard Ehgartner of the Österreichisches Bibliotheks Werk and Marta Franceschetti, Masters professor. 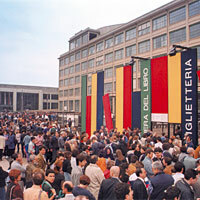 For the closing of the Webmania project, during the Turin Book Fair 2003 (15 - 19 May) the Premio Grinzane Cavour organized a debate between experts of multimedia realities and the new languages generated as a result of the Web, entitled "Webmania: new multimedia languages and realities. 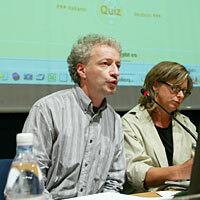 The participants in the debate were Vito Bruno (writer), Arnaldo Colasanti (writer), Angelo Motor Comino (writer), Alessandra C. (Torino Sette La Stampa), Loredana Lipperini (Rai 3  La Repubblica), Anna Masera (La Stampa), Reinhard Ehgartner (Österreichisches Bibliotheks Werk), Giuliano Soria (Premio Grinzane Cavour), Paolo Verri (Torino Internazionale), Stefano Zecchi (Professor of Aesthetics at the Università Statale of Milan). The Premio Grinzane Cavour also proposed a series of cultural events focusing on the relationship between the French Canadian and Italian cultures and also held three special events: Scenic Reading of the French radio drama script Fièvre by Marie-Clais Blais, the concert Diario Mali by Ludovico Eiunadi and the production of the Italian translation of the theatrical piece Il Ventriloquo by Larry Tremblay. 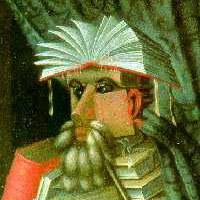 On 15 May Turin hosted the seventh meeting of the Network for the Promotion of Books, Reading and Translation Grinzane Europa. The meeting was part of Project Culture 2000 and offered the partners the opportunity to meet in order to share ideas, schedule and coordinate the various cultural initiatives. 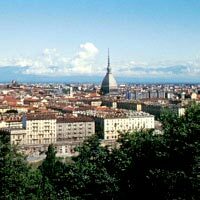 From this perspective the seventh meeting of the network was held at the Grand Hotel Sitea of Turin. 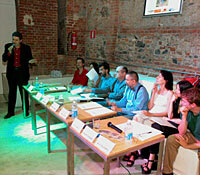 The Premio Grinzane Cavour, the project head, undertook the organizational aspect of the meeting. In the near future, the results of the Permanent Observatory on Reading of the Rete Grinzane Europa (second year) will be published and appear on the Web site. Wednesday 9 July 2003 at 9.00 p.m. at the "The Beach", a locale on the Murazzi sul Po hosted the prize-giving ceremony of the first edition of "Scrivere Web: Webmania", the contest organized by the Premio Grinzane Cavour and the City of Turin in collaboration with Alice (Telecom's ADSL line), La Stampa Web, Torino Internazionale and with the patronage of the European Union and the Network for the Promotion of Books, Reading and Translation  Grinzane Europa. 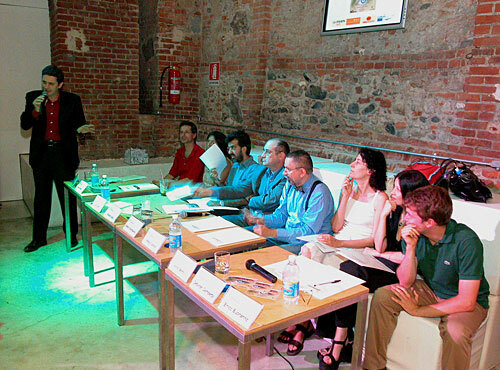 The ceremony was attended by Sergio Chiamparino, the Mayor of Turin and Giuliano Soria, President of the Premio Grinzane Cavour; the speakers at the evening event, mediated by writer Arnaldo Colasanti, were the members of the Panel of Critics, writer Errico Buonanno, writer Deborah Gambetta, writer Anna Berra and journalist Gabriele Ferraris. Our web site www.grinzane.net/letturaeuropa has been activated through a collaboration between the Premio Grinzane Cavour and the Permanent European Reading Observatory. The site has news and information about the latest releases of music, books, art, theater, with the opportunity to receive our newsletter free of charge by registering on our mailing list. The Premio Grinzane Cavour is organizing a European conference on reading in Paris in October 2003, with the collaboration of the European Reading Observatory which uses surveys, polls and questionnaires to study the relationship people, especially of young people, have with books. The event is part of the series of projects of the Network for the Promotion of Books, Reading and Translation and will entail the speeches of numerous writers from the member countries of the European Union and a meeting among experts to study reading statistics. During the meeting the opinions, testimonials and observations of those who operate in the field of culture will be presented. The 2003 survey completes the data regarding reading habits and trends and prepares a document that includes a survey of professional readers. The readers express their opinions on the state of reading and the future of books. The Observatory prepares a Reading Manifesto which is distributed to writers, politicians, critics, publishing houses, and schools throughout Europe. Writers, publishers and professionals of this sector are also sent a request to reflect on and write about reading and the future of books by responding according to a simple outline. The results, along with the responses received, will be discussed during the Paris meeting on the General States of Reading and published in a paperback destined to be printed and distributed in European schools.